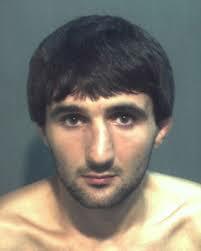 A lot of mystery has surrounded the shooting death of Ibragim Todashev, a friend of one of the Boston Marathon bombing suspects. Now the FBI say it’s “eager” to release the results of an internal investigation into the May 22 shooting, which happened during a lengthy interrogation by an agent, the Boston Globe reports. The report is expected to be released soon – once the Justice Department reviews it and writes a report. The FBI has declined to comment on the shooting, and the father of Todashev has called for justice.